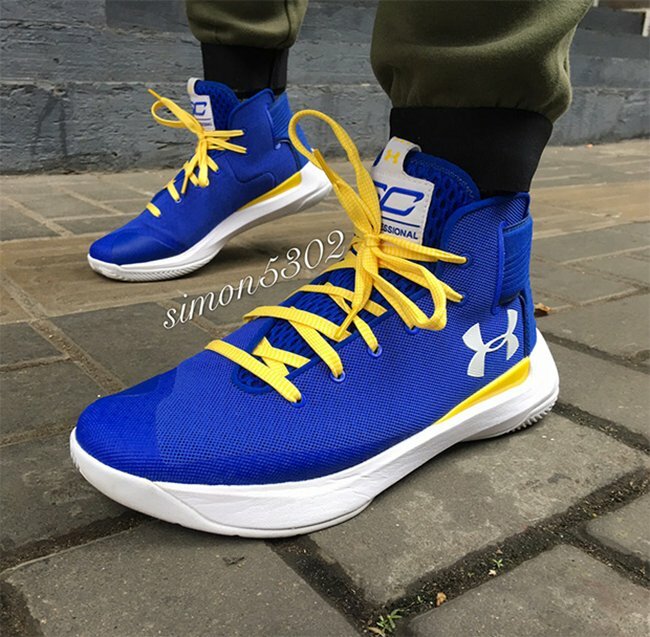 As we already know, the Golden State Warriors will be making the playoffs. 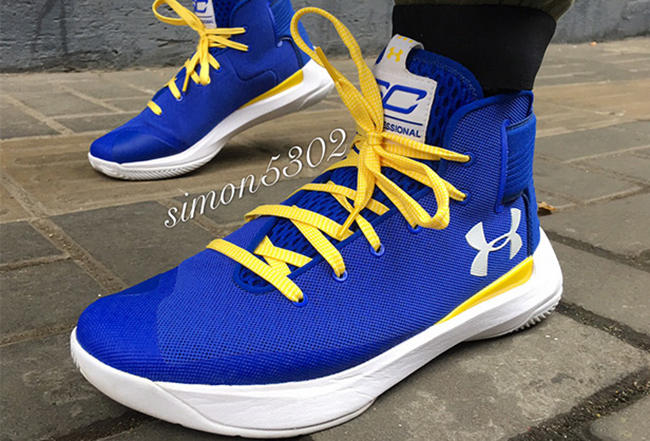 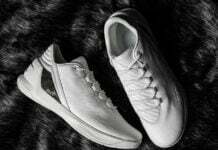 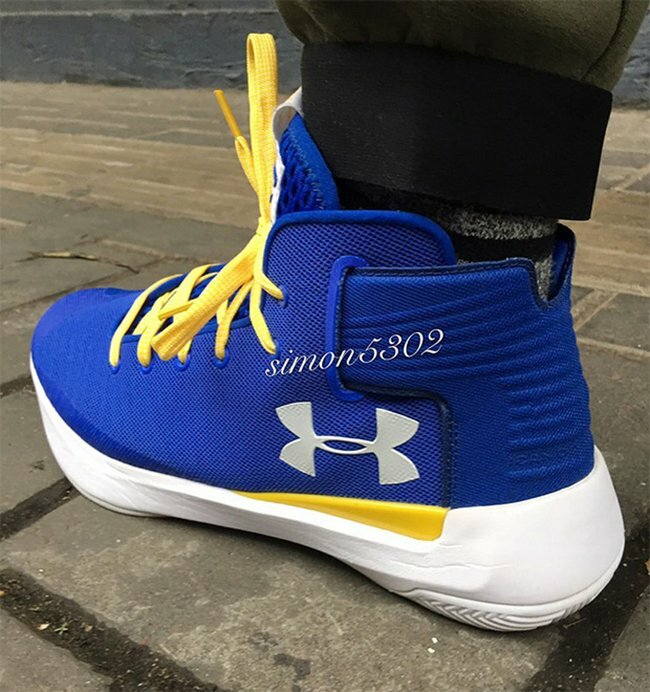 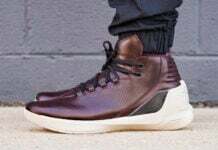 The model that Steph Curry will be wearing during the postseason is the 3.5 and today, we bring you a closer look at the Under Armour Curry 3.5 ‘Dub Nation’. 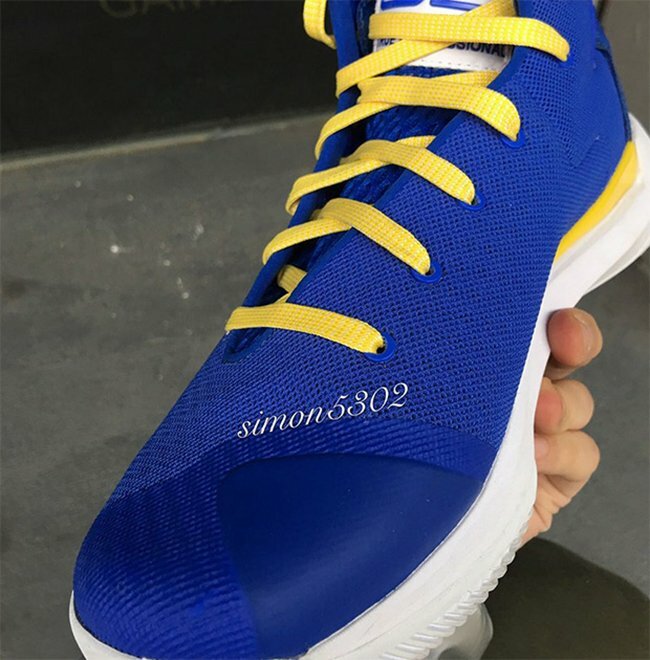 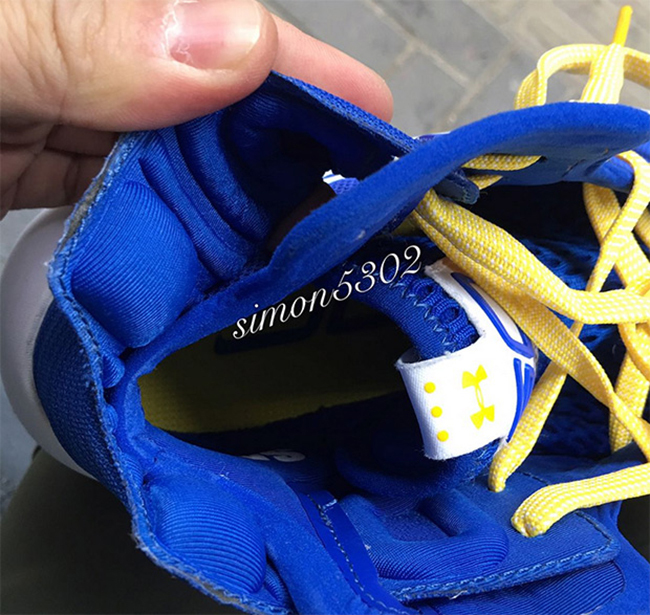 Not long ago, images first showed up of this Curry 3.5 which pays tribute to Golden State. 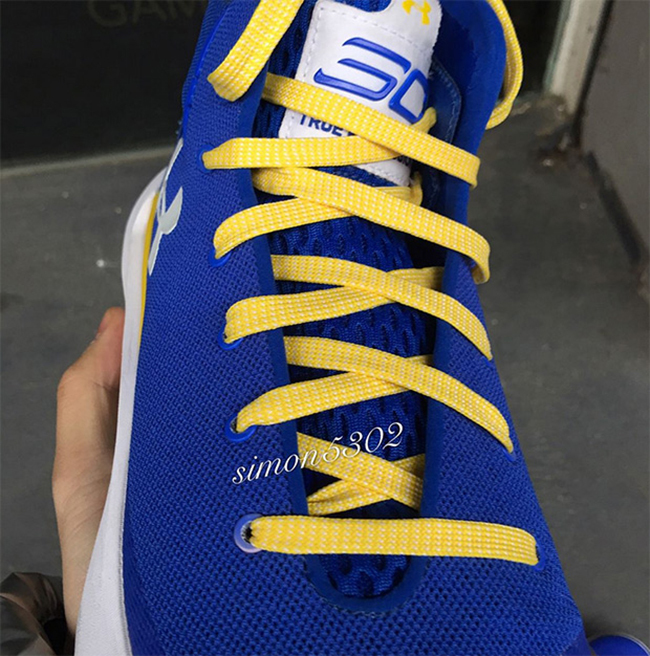 As you can see, they feature a Warriors theme while dressed in Blue, Yellow and White. 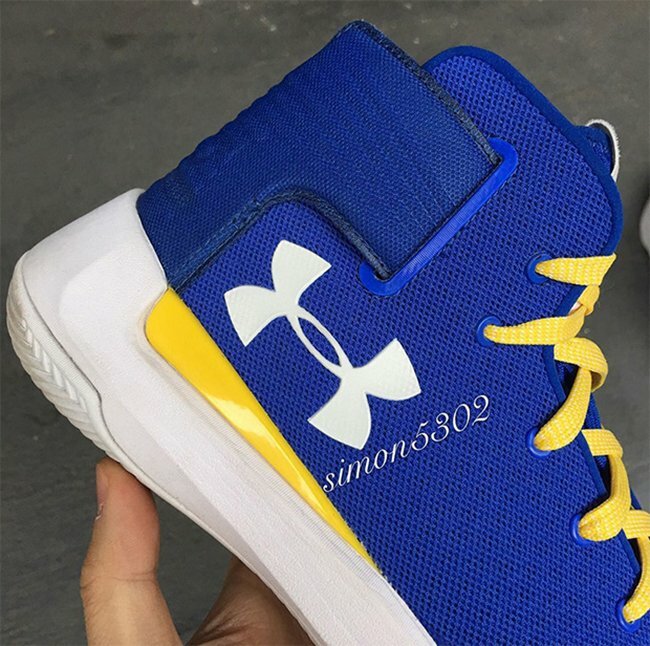 Constructed with mesh across the uppers, the carbon fiber meta wing plate is removed but now will feature the UA branding. 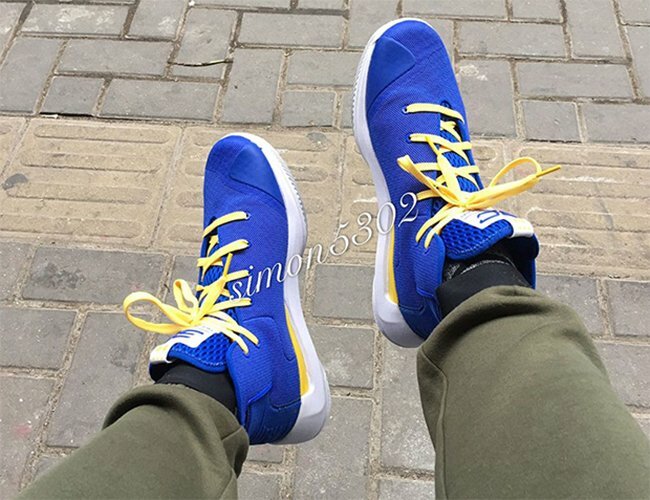 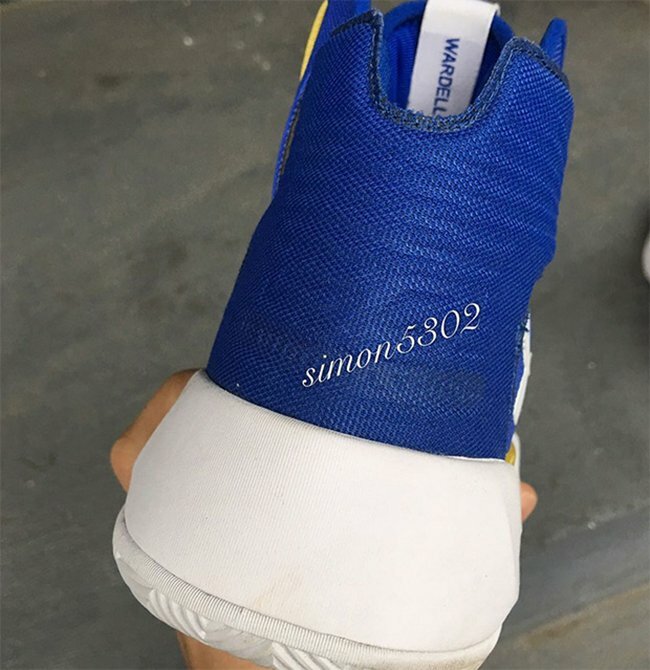 Below you can check out more images of the Curry 3.5 Dub Nation which will give you a better look. 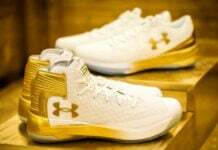 While a release date is not available, they should be dropping soon at select UA retail stores. 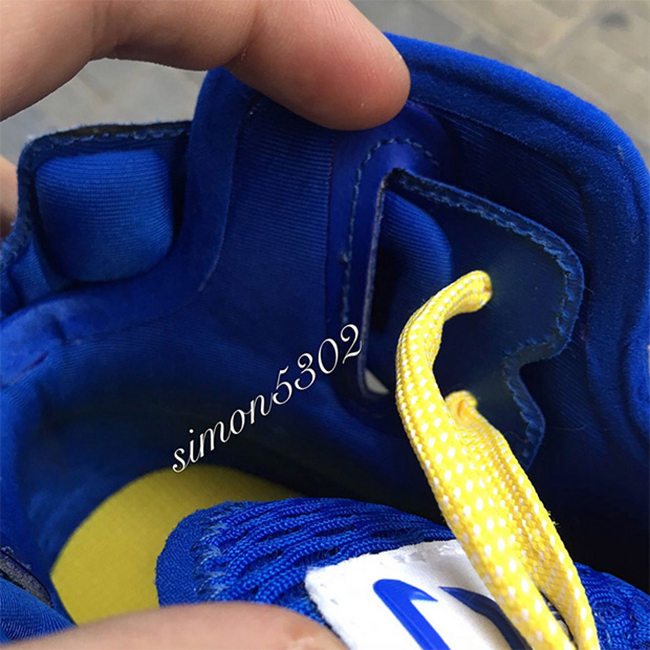 Make sure to check back with us for the official unveiling.